Sounds good. Performs even better. The new Music Maker is packed with even more tools and features than ever before, giving you more customization options and amazing sound. And yes — it's still free! Included in the new Music Maker. Better sounding music — right away. And that's not only thanks to the Soundpools included in high-quality .wav format. We've also integrated the renowned audio engine from our professional DAW, Samplitude, into Music Maker. Download the latest free version or purchase one of our special editions today to take advantage of this new technology. You can take your projects, features and instruments with you, no problem. Improved performance you can feel so you can focus on what matters, making music. Multicore support (included in Music Maker Plus Edition and higher) enables your computer to make optimal use of all of its CPU cores. Combined with the new audio engine, now you can make even more music with even better sound. 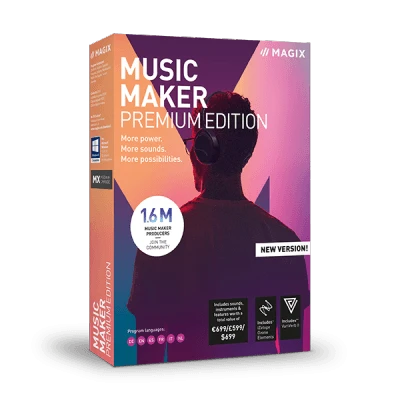 With Music Maker Premium Edition, we want to give you a platform designed to take your projects, songs and creativity to a whole new level. That's why Music Maker Premium users not only get all new updates, but also all new features, effects and preset packs — guaranteed! A must-have for any studio — now included in Music Maker Premium Edition. VariVerb II (short for Variable Reverb) is a top-class VST plugin for the acoustic design of reverb effects. The reverb created is calculated using complex reflection patterns and various software models. Plus, you can also create and modify your own plate, spring and non-linear reverb in addition to room reverb. Ozone 8 Elements is an intelligent mastering tool developed by the industry experts at iZotope. This tool lets you put the finishing touches on your mixes and produce radio and streaming-quality tracks. With machine learning and AI tech packed under the hood, Ozone 8 Elements makes it easy to get optimal mastering results with automated suggestions. But how you master your music is completely up to you, and it's easy to put your personal spin on Ozone Elements' suggestion with just a few clicks. Want to produce Urban beats? Or are you more into creating the ultimate chart hit? 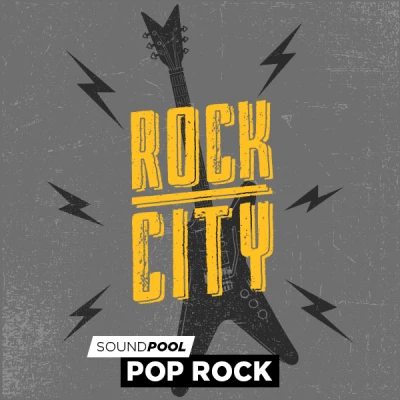 Choose one of the latest Soundpool Collections complete with thousands of loops and sounds from the Store. Discover new underground trends, current chart music or soundtracks that match the hottest blockbusters. And best of all: You can pick up to 3 Soundpools depending on the Edition you have. Select up to 8 favorites from among 30 software instruments. Analog synth classics, drum machines with a whole lot more boom, elegant string ensembles or distorted rock guitars: Select up to 8 instruments (Premium Edition) from a collection of over 30 software instruments. An extraordinary instrument for extraordinary sound: This virtual synthesizer provides a full range of effects modules for producing dark soundscapes and grating bass lines made to transport you to dark and unfamiliar places. Ideal for trap, soundtracks, electronic music and techno. This virtual instrument includes an entire ensemble of powerful, sweeping strings. These vary within the presets from historical, classic sounds to electronically manipulated string effects. Classic choral arrangements, dark male voices, crystal-clear vocals sung by a female chorus and mixed-voice choirs. This virtual Choir instrument is outstanding as background support in a whole arrangement or to carry the melody line in a classical orchestra. Pop Brass provides modern horn sounds recorded by professional session musicians in a world-class studio. Whether you're looking to produce slick funk songs, tight Latino sounds or 20s swing numbers. This charismatic electric piano offers a unique palette of rich piano sounds for your productions, ranging from jazz to melodic blues to funky, distorted riffs. These high-adrenalin guitar sounds are the perfect addition to any rock or pop project! Comes packed with tons of presets and electric guitar sounds from heavy metal to reggae. Plus, a wide range of playing techniques make this instrument even more versatile. Provides the typical bass foundation in your song - whether fancy bass lines or subtle accompaniment, this bass will impress you with its great sound and ease of use. This instrument is both intensely mystic and exotic and creates a breathtaking and dramatic sound for movie scores and abstract electronic music. A classical grand piano — sampled to a T. A powerful piano with clear and detailed tones. This classic instrument is based on recordings of a carefully selected concert piano made in an international concert hall. The piano's powerful sound shines through with clear, almost lyrical tones. A dynamic feel, practical editing features and room simulation serve as the rhythmic foundation for creating classic hard rock sounds — that's Rock Drums. This virtual piano accordion comes in two different samples, "Styrian" and "Bandoneon". It's an elegant handheld instrument which has been accurately captured right down to the finest detail. More features, audio effects and presets. Special features and tools for your Music Maker. Want to use your computer's full potential? How about VST interfaces? Not interested in 5.1 surround sound? The new Music Maker lets you assemble the exact functions you want and customize everything to your needs. 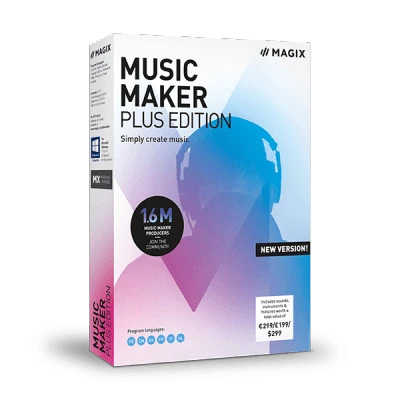 Each Edition lets you activate a number of features, which you can easily select and install via the built-in Music Maker Store. Multicore support lets you make full use of your computer's CPU cores — for better performance you can feel, even on demanding projects. Fatter sound: Mastering compressor with M/S editing. The am|munition VST plug-in is a true pro tool when it comes to mastering and comes packed with extremely versatile dynamics tools for editing group and master signals. Take professional sound design to a whole new level. This plug-in is the perfect tool for editing vocal and acoustic instrument recordings. For even tighter beats: The am|pulse transient designer is the perfect tool for producing cutting edge beats. This transient designer is especially useful for editing percussion and dynamic sounds, which makes it a must-have for any producer. Filtox can be used for ultra-precise modulation. This vintage effect plug-in controls the frequency spectrum for modulation sources. The result is a ton of possibilities for editing audio - for instance creative distortion of synthesizer sounds or drum loops. Corvex is a legend among plug-ins and creates an elegant tapestry of sound with analog-style chorus and flanger effects. It's perfect for achieving a fuller sound, or for giving the illusion that an object is layered. An essential vintage effect for any home studio setup. Ecox is a fantastic vintage effect plug-in for emulating the natural, full sound of analog effect devices and realistic tape echo sounds. It even authentically reproduces system-dependent tracking fluctuations and loss of highs during each feedback. It's a must for any producer who wants to create analog sounds. Analog compression meets tape simulation: am|track accurately simulates the effects of analog tape decks. It features two completely different compressors, each with its own independent controls and sound characteristics. Adds depth, atmosphere, brilliance and texture to any project. VeriVerb II features amazing reverb and comes packed with presets for a wide range of instruments, spaces, rooms and vocals. Plus, you can create your own custom reverb for a sound that's all your own. More bass. More boom. More dynamics. Finalize your mix with the new Mastering Wizard, Ozone maximizer and an impressive 8 band EQ. Ozone Elements can be easily integrated into Music Maker via VST. Access a fuller, more powerful sound for radio and stream-ready masters in no time at all.